With dual electric motors, all-wheel drive and an aggressive, restyled body shape, the purpose-built Nissan LEAF NISMO RC demonstrates how Nissanís electric vehicle technology can deliver exciting yet quiet, zero-emission power key component of the company’s Nissan Intelligent Mobility vision. The model is equipped with advanced battery technology and drive train components from the Nissan LEAF, the world’s best-selling electric car. 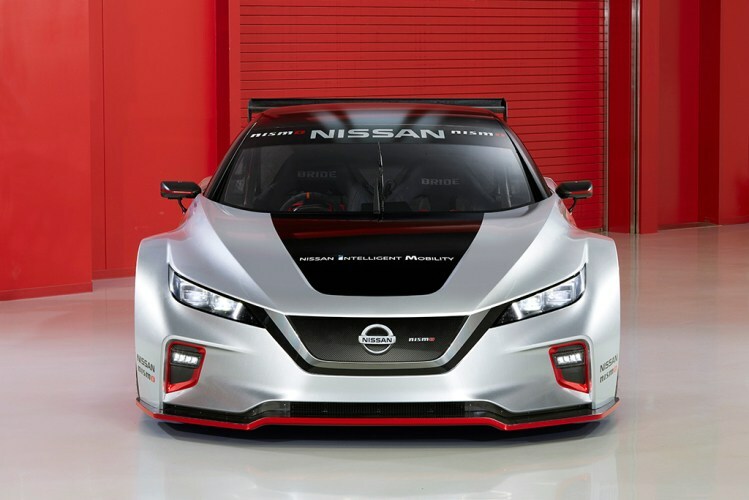 The purpose-built, zero-emission racecar from NISMO to grace the stage in the Nissan booth, along with the refreshed 2019 Maxima sport sedan, which will make its Canadian debut in Toronto. The all-new Nissan LEAF NISMO RC, the most thrilling expression yet of Nissan Intelligent Mobility, will be displayed at the 2019 Canadian International Auto Show (CIAS) in Toronto. This marks the first time the LEAF NISMO RC will be on display at a major auto show, following its debut at the NISMO Festival, and display at CES 2019. The Nissan LEAF NISMO RC was developed by Nissan’s racing arm, NISMO. Using its racing know-how, NISMO created an exciting way to show the potential of Nissan’s zero-emission technology – a key component of the Nissan Intelligent Mobility vision. Powering the all-new Nissan LEAF NISMO RC are two electric motors at opposite ends of the chassis. The motors produce 322 combined horsepower (161 horsepower each) and an astounding 472-lb. ft. of instant torque to the wheels. They more than double the maximum power and the torque output of the previous LEAF NISMO RC, which was introduced in 2011.